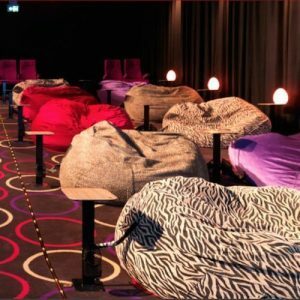 Where are the Best Bean Bag Cinemas in Australia? Bean Bags R Us NewsBean Bag ChairsWhere are Australia’s Top Ten Best BeanBag Cinemas? Where are Australia’s Top Ten Best BeanBag Cinemas? Bean bags and bean bag furniture are no longer just for home. Businesses around the world are beginning to take advantage of the comfort and ergonomic support of bean bag chairs for the benefit of their customers. One type of business that is being revolutionized through this simple but effective furniture is the cinema. Whether you want to catch the latest Hollywood blockbusters or locally produced independent films, you can now do so in one of the following bean bag cinemas. The most popular cinemas with bean bag seating are those operated by the national cinema chain Hoyts Exhibition. Hoyts Cinemas now offers three public Bean Bag Cinemas and one semi-private location at The Royal Children’s Hospital. Hoyts Bean Bag Cinema allows you to see all of the latest movies in deluxe, oversized bean bags that provide enough room for two adults. While the ticket price is a little higher than it is for a standard Hoyts screen, many people are drawn to the bean bags just to experience movies in a new way. 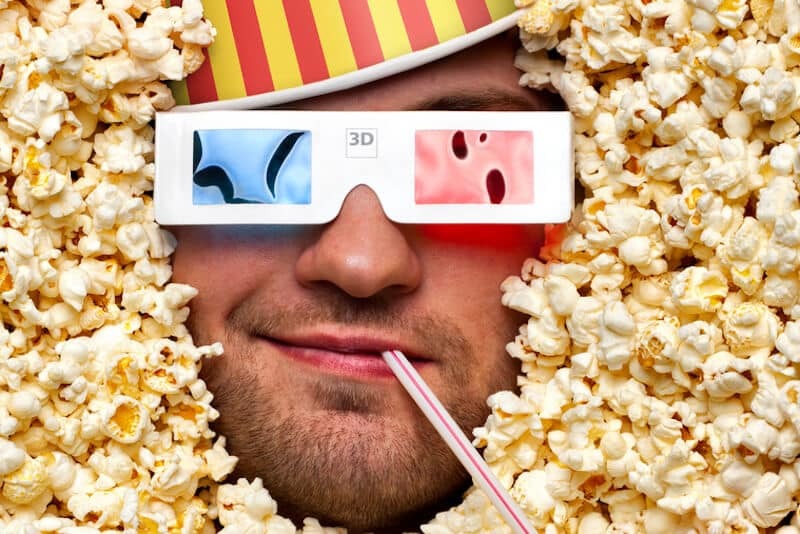 However, once you try it out, you may not be able to go back to a regular cinema again. Hoyts Melbourne Central can be found on the third floor of the Melbourne Central shopping centre. The cinema includes 12 screens, one of which is the Bean Bag Cinema. In the Sydney suburb of Mount Druitt is the Westfield Shopping Centre, and located just above the food court is the Hoyts Bean Bag Cinema. This location offers ample free parking and the latest movies. Hoyts Southlands is the only location in Perth with an indoor bean bag cinema. The cinema is located just across the street from Burrendah Park. Hoyts Cinemas operates a Bean Bag Cinema especially for the families and children in The Royal Children’s Hospital. It is located on the ground floor of the North Building. Situated in the quiet town of Mansfield, Victoria, about 190 km northeast of Melbourne, is the acclaimed Mansfield Armchair Cinemas. This nonprofit organization was established in 2008 for the benefit of students to give them the skills and experience required to operate a business. The two screens at the cinema each includes regular seating, 12 luxurious leather recliners and ten three-person bean bags. Annual and monthly memberships can be purchased for discounts and free seat upgrades. Kindred Studios is a community video and television studio that provides equipment and services to local filmmakers. Among the organization’s several studios and galleries is the White Room, which features a small cinema with bean bag seating. The cinema often screens locally produced movies, and private screenings can be held for business or pleasure. At the current time, five outdoor cinemas in Australia offer bean bag seating. The most popular of these is Sunset Cinema, formerly known as Starlight Cinema. Sunset Cinema began in North Sydney several years ago and is now held in three outdoor venues each summer. Sunset Cinema Canberra is held at the National Botanic Gardens. Sunset Cinema Wollongong is held at the Wollongong Botanic Gardens. Sunset Cinema North Sydney is held at the North Sydney Oval. Movies by Burswood is a community outdoor cinema sponsored by various companies each year that benefits children’s charities. Movies are shown in Burswood Park near the Swan River. Moonlight Cinema is held in the Belvedere Amphitheatre of Centennial Park in Paddington, New South Wales, beginning in December.